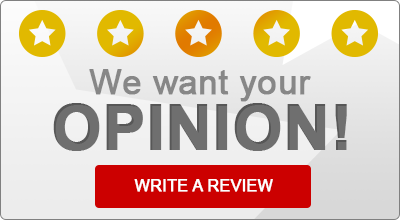 Read what some of our satisfied insurance customers have to say about Lightship Insurance! Rated 5 out of 5 based on 18 rated reviews. “Extremely professional. Let me know right away that because of my specific needs they think a different carrier would be better and sent me in the right direction. “Everyone at Lightship is top notch. They are always fast to help and provide great suggestions on policy improvements or places to save. They have helped me with homeowners, commercial auto, workers comp and general liability. They can do it all and I highly recommend them. “I have had to good fortune of purchasing all my insurance needs through Lightship since 2007. John and the entire staff are top notch,very professional and accommodating. They genuinely listened to my questions, and spoke to me in layman’s terms to help me better understand each policy. I highly recommend them to anyone for their insurance needs. Always enjoy receiving their new year’s calendar with a letter of appreciation for my business. Thank you! “I have purchased my professional insurance through Lightship Insurance for the past two years. The staff is very efficient, personable, and professional. They were actually recommended to me by another in my field. So, I give them two votes!!! Thank you, Lightship!!! Honest, Smart, and a man of Integrity. What do you want with insurance? “Norma has a big following. So where she goes I will follow she is the most awesome person, she has the biggest heart in the world. She listens and tries to meet everybody’s needs. I will recommend Lightship Insurance, I have sent a few people your way. Thank you Norma Contreras, Thank you Lightship Insurance. “We are VERY happy with our decision to move our insurance to Lightship, For once we have found an insurance company more interested in helping us than not. “As a mortgage broker, we rely heavily on excellent insurance service when one of our client’s needs homeowners insurance. Frequently we need a commitment or a change in a matter of minutes. Other companies have procedures and systems and many ways of saying “NO.” Lightship just responds with service in ‘CANS’ – that is we can do it. They are the best. Each time a client of ours chooses Lightship, we can confidently take an important task off our to do list. “I have been with Lightship Insurance for more than seven years and their service gets better year after year. It is obvious that John Klassen and his team are professionals and very responsive. I have been in business for over fifteen years and I can’t recall doing business with a company as great as Lightship Insurance.